Enter a world of chocolate heaven where your mini chocolatiers will make and decorate three chocolatey goodies to take home, with the help of our fantastic workshop team! 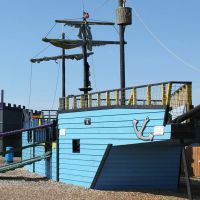 The 35 – 45 minute experience is available every day and is suitable for suitable for children aged 3 and above (approx.) but every child is different so this is only a guide. Whilst adults are not permitted in to this workshop, they can watch all the fun through the viewing windows or relax in our cafe. This workshop is an alternative to the standard chocolate workshop that takes place in a quieter environment, with less people and where an parent/guardian or other adult can enter the workshop to provide additional assistance. In this extra popular, extra gloopy workshop we switch out chocolate for SLIME! You will make and take home three slimey creations. This session is suitable for children aged 6 and above approx. and must be booked in advance. Chocolate isn’t just for children! 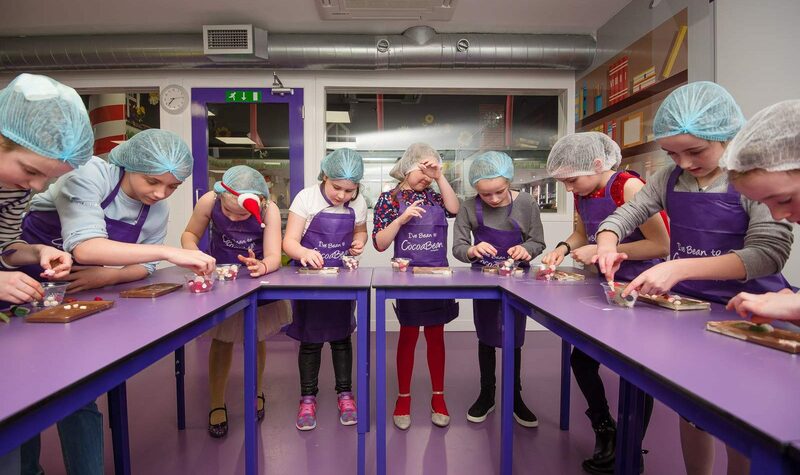 We run workshops where the whole family can get involved in the chocolate making fun. We also cater for adult only groups. These workshops run throughout the year or get in touch about arranging one at a time that suits you. Beanie Tots is our messy play session for children aged 4 and under. Each week is a different theme and always includes one item to make and bring home. Beanie Tots is available Monday – Friday during term time only. Check out our booking system for up to date information on availability and pricing. Or alternatively get in touch to discuss arranging a workshop for group bookings. The standard Children’s Chocolate Workshop costs £15* per child. *Moo Free chocolate can be used for a £2 surcharge. Beanie Tots costs £6 per child and includes one parent/guardian in the ticket price. 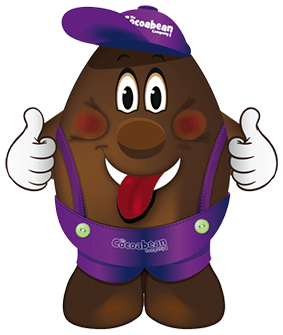 Beanie Tots is available Mon – Fri during term time only. Slime Workshops start fom £12.95 per person. For full information on all our workshops, including availability, pricing and for booking ticktets, please click below. Our Children’s Chocolate Workshop runs all day, every day with the exception of special events. You can just come along but we always recommend booking in advance to avoid disappointment. We often run other types of workshop including Beanie Tots, Adult Workshops, Family Workshops, Slime Workshops and lots more.